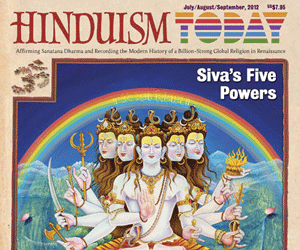 It is time for all Hindus to join the movement to free Hindu Temples from the government control. 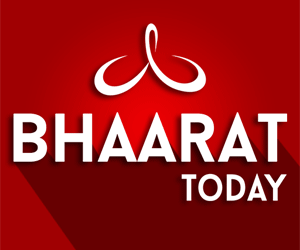 Governments are looting money, misusing the funds, diverting funds to non-religious activities, neglecting the repairs, selling the Temple lands, abusing the powers of the government, allowing the Temples to be dilapidated, hiring Christians to the Temple management, allowing non-Hindus to do business with all the Temples, refusing to honor the RTI act and acting autocrats. They are not accountable for either people or to the religious leaders. Temples have become the political football. They appoint all cronies who may not be even religious. Money, power and fame muddied their brains to be even logical, reasonable or rational. Madras High Court even found the Endowments Department prima facie subversive its direction and demanded the Commissioner to appear in person to explain the refusal to follow the directive. 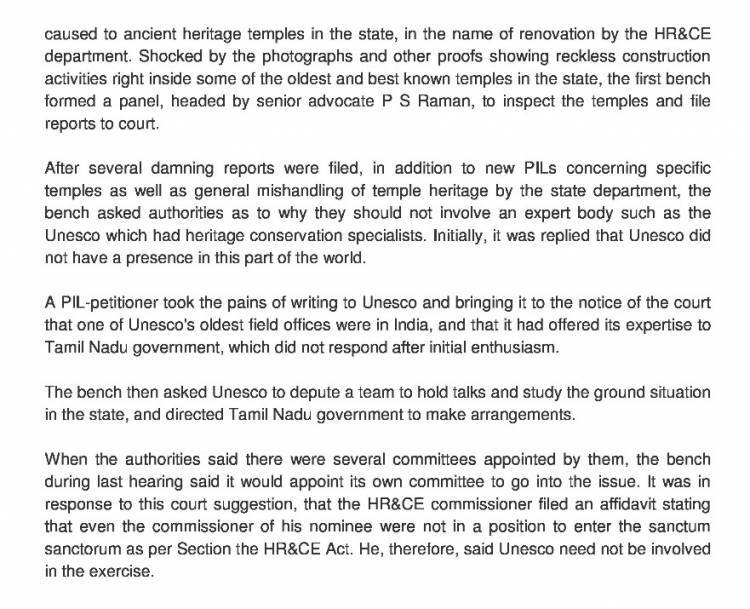 The Court was shocked to see the pictures of the temple taken to show the pitiable condition prevailing in these Temples. The governments do not have guts to take over Churches and Mosques. They know they can either lose their power or get their life threatened. When it comes to Hindu Temples, the government talks about secularism while it comes to these two major religions, these governments talk about minority rights. These secular governments are comfortable with abusing the Hindu Temples and deny the fundamental freedom to manage their own Temples to Hindus while they gleefully grant them to these other religions. Unless Hindus wake up from their slumber, it will continue. Governments will deny the freedom for Hindus to manage their Temples. Let us wake up and actively get involved in freeing and managing these Temple once they are released from the government. It is time for Hindus to shed their selfishness and receive abundant blessings from the Gods while they close their eyes to the pitiable condition these temples are subjected to by the government. 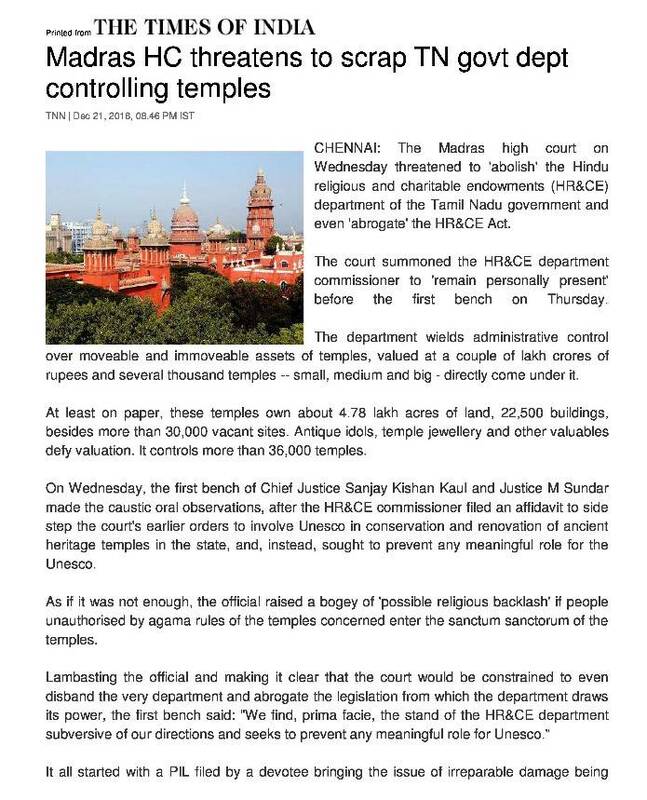 GHHF congratulates Madras High Court for taking a bold step to threaten the government. Global Hindu Heritage Foundation (GHHF) is fighting for the last ten years and brought many changes. Please see our website: savetemples.org. Sri Swami Dayananda Saraswathi filed a case in the Supreme Court by collecting the information on the abuses of the Temples seeking judgement in favor of repealing the Endowment Act. At the request of Sri Dayananda Saraswathi, before he passed away, Dr. Subramanian Swamy agreed to defend the case to free the Temples from the governments. Please join the movement. Please call 601-918-711 to find out how you can help Dr Swamy to defend the case.